If you asked me to imagine my dream boutique what would it be? Well, it would have feminist and lady-powered music, zines and independent books, fun accessories, a tight selection of perfect clothes that are both functional and fashionable that could go from the street, to work, to a rock show, as well as serving as a community gathering and event space for music, readings and art. Well, low and behold, my dream boutique exists and it exists in Paris no less. Gals Rock is a space dedicated to ladies/women’s/girls/grrrls’ rock music and culture. 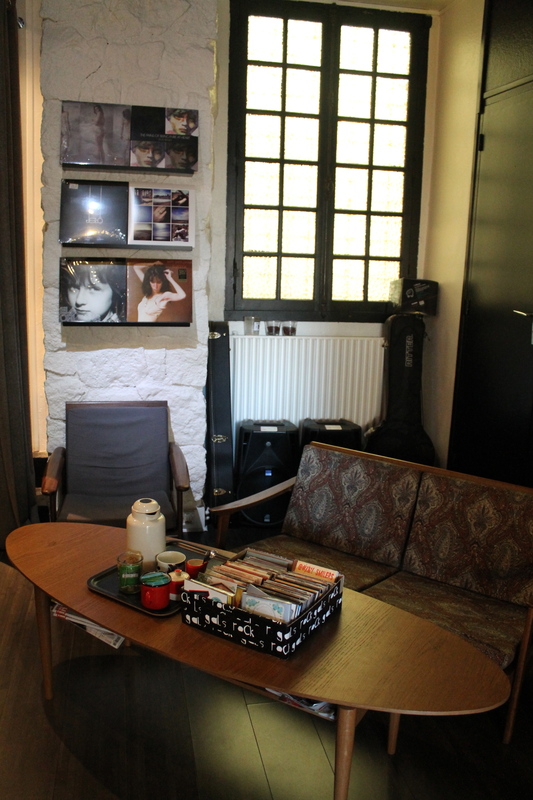 A petite boutique in the 9eme in Pigalle, just steps away from the tourist crush of Monmatre, its an oasis of feminist creative energy. 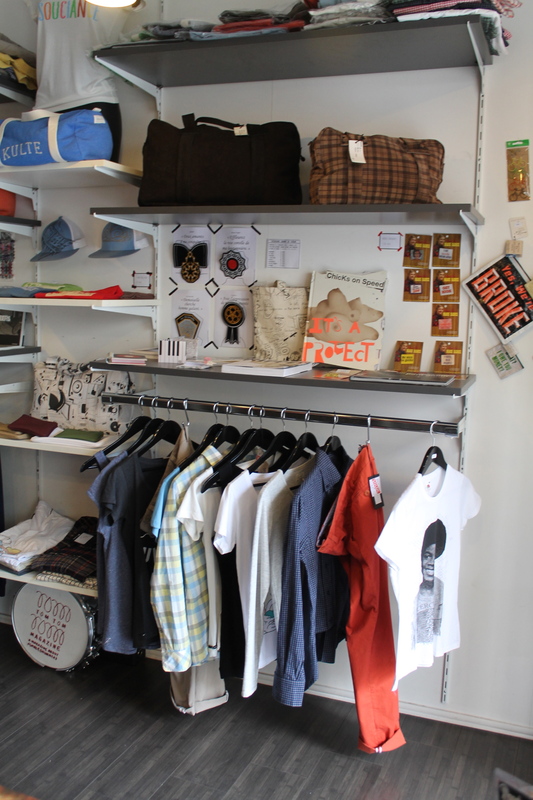 The front room features clothes, accessories and zines for lady rockers and their allies. I found a perfectly fitted, ladies button down shirt that was created by the Gals Rock crew who were frustrated that they couldn’t find a shift tailored to ladies’ proportions. In addition, I couldn’t resist picking up a silkscreened t-shirt with a hand drawn design featuring the names of all my favorite grrrl bands from the 1990s, including Sleater-Kinney, Excuse 17, and Huggy Bear. I wear that shirt with pride! 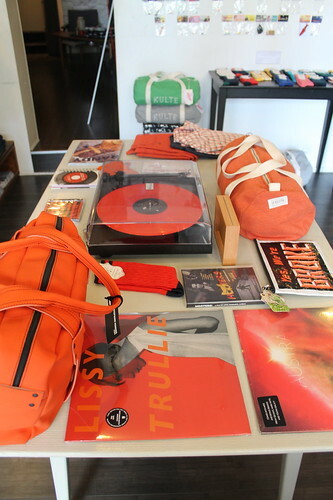 Gals Rock also features a wide selection of the indie fashion label Kulte. 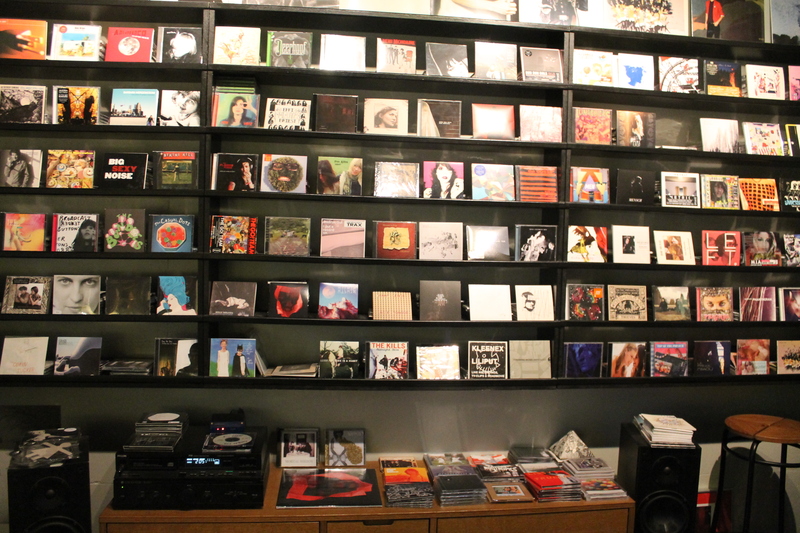 The back room is dedicated to music, most of it independent, in which girls, grrrls, ladies, and women play a key role. While Gals Rock clearly is focused on rock music and culture, their selection includes electronic and hip-hop music as well and is forward looking and broadly defined. The ladies who run the shop host regular events and concerts, all which sound like the perfect, feminist, music focused soirees. As if I ever needed more reasons to move to Paris.